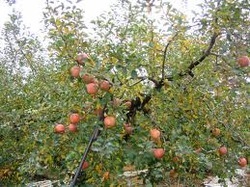 I have an apple tree near my house. I like apples, but not from a tree. It sortof looks like this.